Whenever my hubby travels, I and Vaandu venture out some local grocery stores kitchen. There is a grocery close by to our music class and after the class we both love to explore the kitchen section of it. 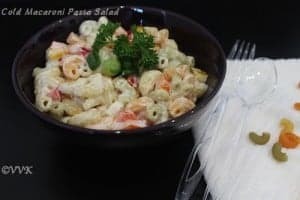 One of my most favorite recipes is the Cold Macaroni Pasta Salad and these salads are available in certain pizza places too. 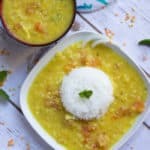 Its a colorful and inviting recipe. Vaandu kept asking for it and I was skeptical to give it to him as I didn’t know what vinegars are used but I loved the fact that it is cold. No need to warm it up again and I thought it would be perfect for kiddo’s lunch box. So I thought of preparing it at home. When I found the recipe I was surprised. 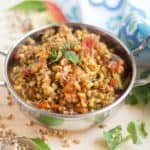 Just two main sauces provide the entire flavor for this recipe. (Of course salt and pepper) This is a no cheese pasta recipe. Once the pasta is cooked you just need to mix the sauces and that’s it you are done. It’s a crunchy salad with veggies and pasta. 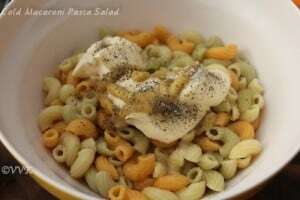 You can prepare this salad with any small shaped pastas but I am going with traditional and regular elbow macaroni pasta. Just to make the food colorful I bought the tricolor pasta. You can choose the ones that your kids like. 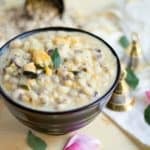 These recipes are very handy and super simple to prepare in the mornings also. Kiddo loved it to the core and now this has become a staple at our house. Celery with Mayo is really good. 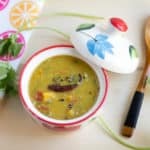 Vaandu loves this for lunch and it’s perfect for summer parties also. You can vary the veggies according to your preference. Please look into the notes section for other options. 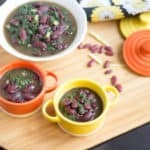 Here is the super simple recipe that I adapted from here and yes I ignored the vinegar. Cook the pasta aldente according the directions in the package. I added ½ tsp of salt and 1 tsp of oil while cooking the pasta. Drain the water and set the pasta aside. 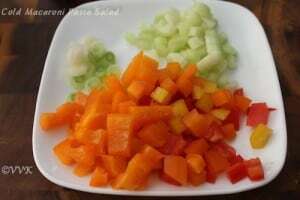 Meanwhile chop all the veggies and keep them ready. Now mix the veggies, cooked pasta, Mayo, Mustard, Sugar, Salt and Pepper. Combine well and that’s it. 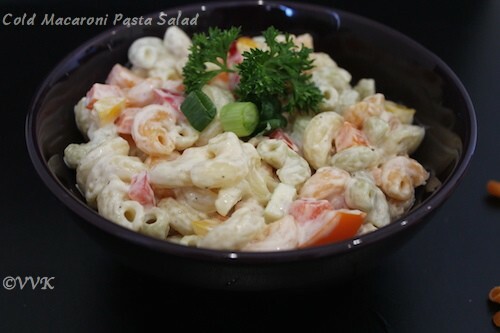 Macaroni pasta salad is ready. A colorful and crunchy and kid’s friendly Cold Macaroni Pasta Salad. Perfect for lunch boxes. Cook the pasta aldente according the directions in the package. I added ½ tsp of salt and 1 tsp of oil while cooking the pasta. The above combination of sauces is our preference. Please adjust according to your taste. Instead of green onions, regular onions can be used. Red wine or white wine vinegar can be added. Added veggies of your choice. You can also used Dijon mustard instead of honey mustard. 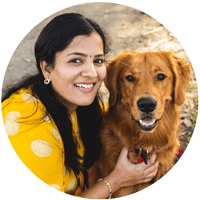 Check out the Blogging Marathon page for the other Blogging Marathoners doing this BM and including this recipe for the kid’s delight event and that’s hosted by me for these two weeks. Very interesting one and tempting one for the kids. 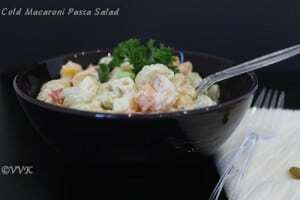 Wow, what a colorful and creamy looking pasta salad. Am in love with this cold pasta salad, lipsmacking here. Mayo magic! Super super easy! The pasta looks very inviting and must be yummy if kid approved. Mayonnaise with pasta sounds tempting. I’ve some homemade mayo left in the fridge. Will try it out right away. Yummy looking salad….honey mustard and mayo wow! Thanks Lakshmi. Will link it up all. Thanks da.. give it try. It was amazing.